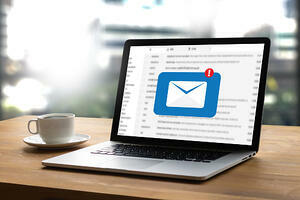 Are your email campaigns not as engaging as you thought? Not receiving enough traffic from your newsletters? And why can’t you seem to increase your open rate? Email marketing is a great way to interact with your prospects and customers whilst at the same time promoting your brand and increasing sales. But making sure your email campaigns consistently and repeatedly hit their goals can be a challenge. In just two minutes, here are five steps for building and implementing more effective email campaigns. The subject line is your email’s first real point of communication with your readers; if it isn’t enticing then they’re much less likely to open the email. If you’ve segmented your database properly, you should be able to craft subject lines that are relevant to your readers and their challenges or interests. To standout in a reader's inbox and entice an open, consider communicating in the subject line how your email is going to help the reader. Personalisation is key when it comes to effective email marketing. It makes emails feel less ‘robotic’ and provides an added source of value and interaction between you and your readers. Many email functions, such as that provided by global sales and marketing platform HubSpot, enable you to actually personalise your email subject lines. Video is another great way of achieving this in the body of your emails. Whilst you won’t want to overdo it, a personalised video shot and recorded using GoVideo can really engage the recipient. Readers traditionally skim through content in an F-shaped eye-motion. It takes a matter of seconds for them to determine if they want to read on. Use short paragraphs and bullet points to separate text and automatically draw your reader’s gaze, and consider using font, style, and colour to make important words or phrases stand out. Everyone likes a good visual, and including them amongst your email marketing techniques is no exception. When using images in email, make sure your image is relevant to the email topic and complementary to any written content in the body of the email. Email is an awesome way of using video for business. Video content offers you the opportunity to showcase your brand in a way that holds the viewer's attention, whether you’re demonstrating a product or simply introducing them to a member of the team. You’re emailing your database in the first place because you’d like them to take an action. Whatever that looks like, effective email campaigns should have calls to action signposting that next step. Consider using a combination of traditional text-based hyperlinks and designed image links and buttons in order to really engage with your readers. We hope these steps — amongst many others — will contribute towards more effective email campaigns that fuel your inbound marketing’s success and help you to turn your emails into something your prospects and customers look forward to reading. Email is important, but it’s only one part of your wider sales and marketing activity. 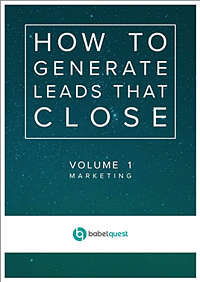 Learn how to use email to drive campaign success by downloading our free, 80-page ebook, How to Generate Leads That Close.